When we have a short week, I hesitate to teach something completely new because our curriculum is set up for a five day week. So, I looked over my standards and thought, "How can I make the most of my time these three short days?" I decided that for Language Arts we would focus on researching and writing a research report. My kiddos can never get enough writing practice! Anytime we research I attempt to make it about a topic that will keep my students fully engaged. So, because I LOVE Polar Bears and my kids seem to like anything I like, we researched polar bears. We read an article I purchased from TPT and my sweet kiddos began taking notes. We discussed why having a few reliable sources is beneficial too. 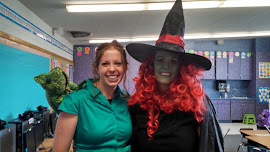 The kids started to notice the same facts throughout our reading and I was impressed. We also used World Book Online for Kids and read one of the fabulous National Geographic Books for Kids on Polar Bears. I think the pictures are really what mesmerized them, but they continued commenting that they LOVED this. thinking,"That many paragraphs in first grade???" Well, I believe in pushing my students and setting my expectations high, and you better believe they meet and even exceed my expectations. My kiddos wrote the last three paragraphs on their own, with my help and support of course. They turned out fantastic. I did find that we need to focus on starting a paragraph with a main idea and using supporting facts throughout the rest of the paragraph, but I love finding something we can improve on. 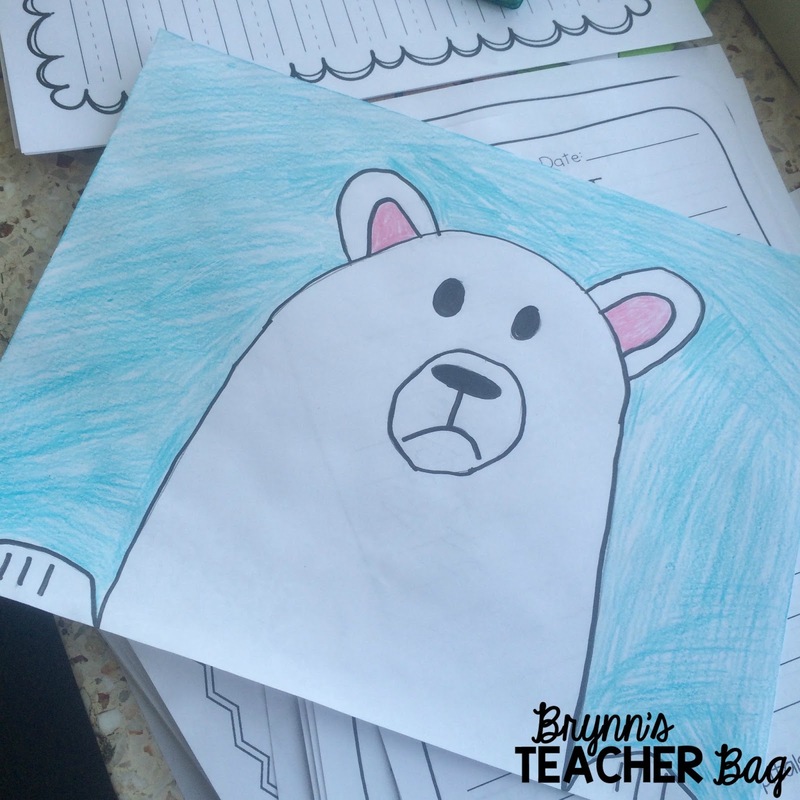 To celebrate finishing our Polar Bear Reports, we did a fabulous directed drawing of a polar bear from the fabulous Jennifer White over at First Grade Blue Skies. They turned out pretty dang cute, if I do say so myself. I did have a few brightly colored polar bears, but my kiddos told me they were magical polar bears. How can you say no to a magical polar bear? The creative liberties they take anytime we do art, showcases their personalities perfectly! One student (picture near the top) said his polar bear was wet. 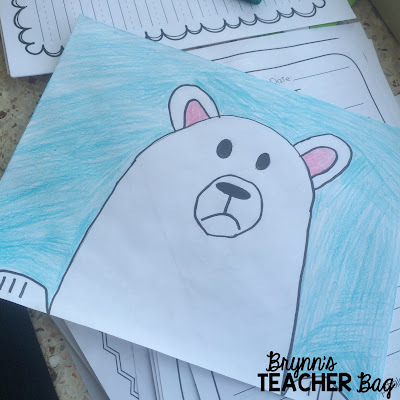 They all decided my polar bear drawing looked sad because my polar bear was a cub who lost its Mama! These kiddos crack me up and help me remember why I do what I do! Love this! How fun and what a great way to practice those skills but have fun at the same time!! I love the art work too!! So cute!! I feel you about the early workouts making your short week seem long. I'm a morning gym rat, too! What a great way to reinforce the skills during the short week! The polar bear drawings are cute!